Who else is obsessed with hummus? Lately, I’ve been polishing off too many containers and just noticed that Summer Fresh provides amazing recipes on their packaging! 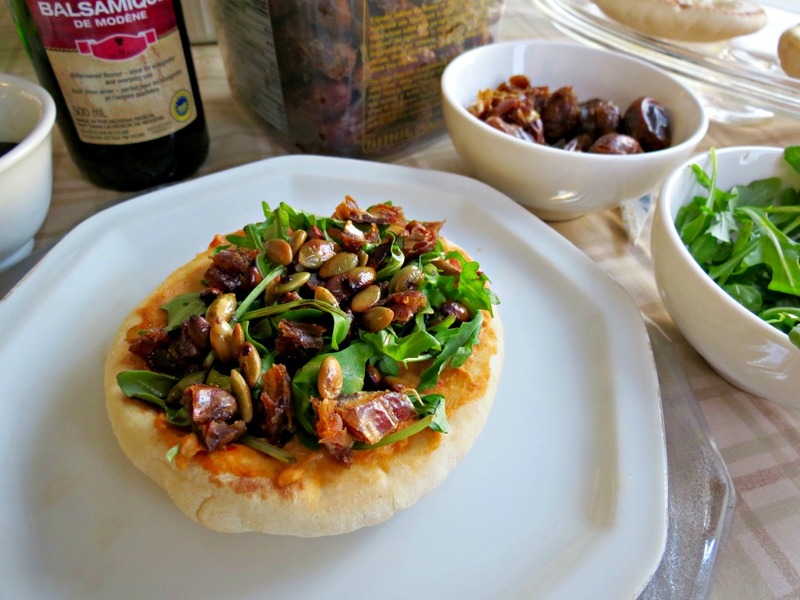 I put their original hummus mini pizza recipe to the test and created my own spicy-sweet combo that explodes with flavour. Preheat oven to 350F and lightly toast each mini pita for 2-3 minutes. Lightly spread margarine on the toasted pita. Spread 2tsp of Summer Fresh spicy chili pepper topped hummus on the pita. Slice 2-3 dates and sprinkle them on the pita. 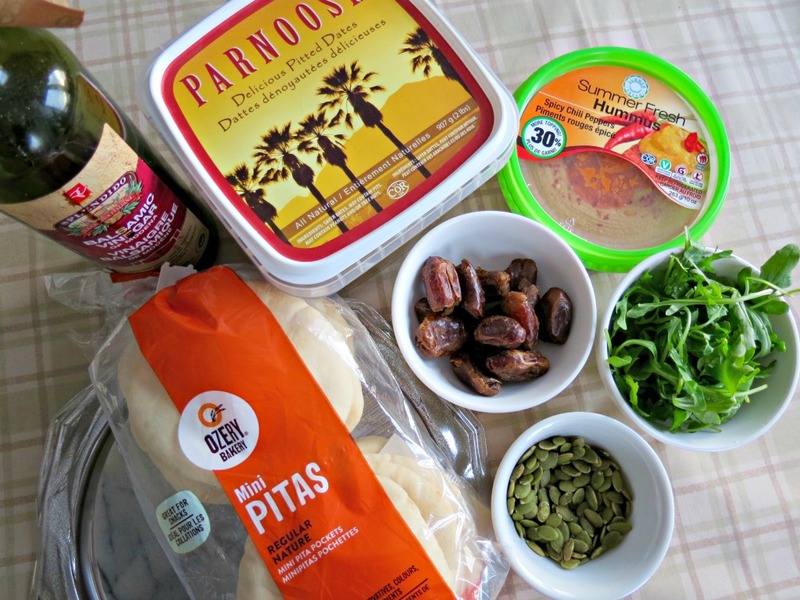 Take a small handful of arugula and place in the center of each pita. 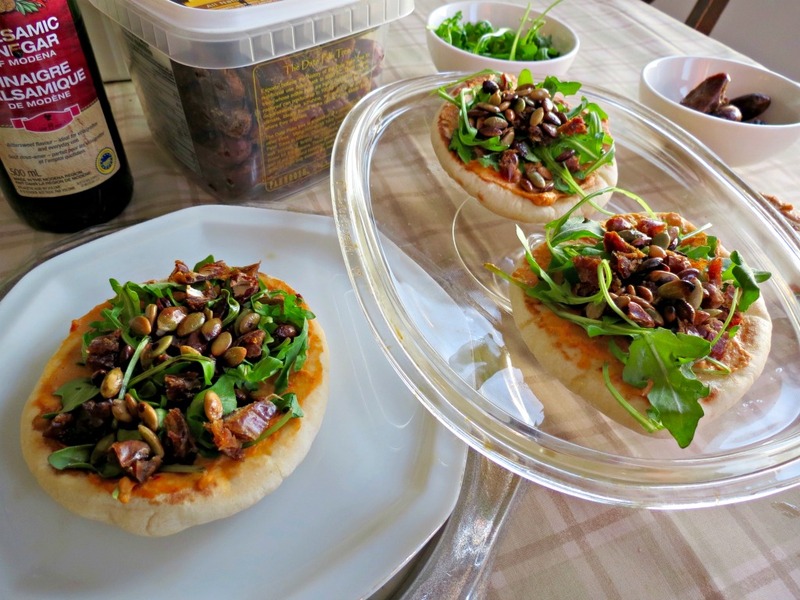 Sprinkle less than a tsp of pumpkin seeds on each pita. Drizzle balsamic vinegar on top and prepare for it to be a bit messy.